The latest collection to my library is Journey Through Islamic Art, by renowned British Muslim author and Editor of SISTERS magazine, Nai'ma B Robert. Hailing from Leeds with African-Scottish roots, Nai'ma is an award winning writer and a first-class lady. 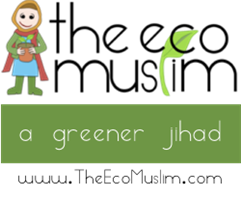 Recently I was given a humble column in SISTERS magazine, sharing tips as The Eco Muslim. Journey Through Islamic Art is a rare gem of a children's book. An exquisite story fills the pages as the main character travels through rich lands and time. I'd love to write out every word, dense and colourful. 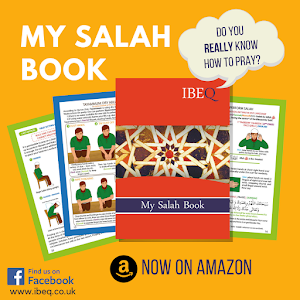 The entire text is translated into Arabic making it a wonderful present for children whose first language is Arabic or to enhance those bilingual skills. And rhyming couplets convert a traditional story into great entertainment through poetry. The main character is taken on a magical journey to exotic lands, India and the Middle East. Age-old architecture and mosque designs add a cultural depth. But it's the beautifully detailed fairy-tale like illustrations that I adore. Putting the text aside, flipping through to just absorb the images is captivating. Traditional courts of debate and learning look magnificent in Journey Through Islamic Art. More "modern" practices are also shown, textile work, pottery and farmland. One of the most enlightening aspects of the book is the link between Islam and science. Here, Arab scientists are illustrated creating telescopes, studying astronomy and developing technology. A great book, search Amazon for available copies or check out your local library.